What’s Going on with LinkedIn? LinkedIn is having a pretty good 2014, as the company announced in its Q2 earnings report that its revenue has increased 47 percent year-over-year. 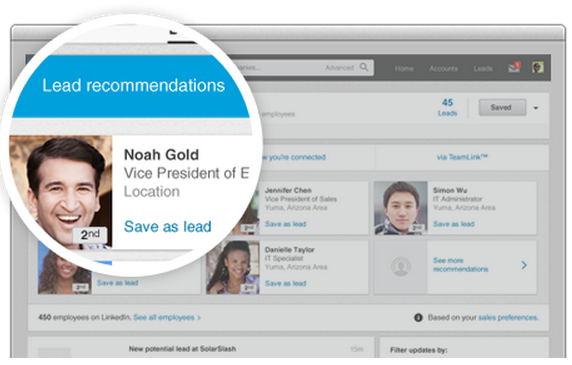 Along with this growth, LinkedIn has been making some updates to its platform recently, including opening up its publisher platform to more members, unveiling a new version of its Sales Navigator platform and rolling out a follow button. Learn more about these updates below. In LinkedIn’s Q2 earnings report, the company notes that approximately 15 million people now have access to the social network’s publishing platform. This number is a significant increase, as LinkedIn initially launched the platform in February with just 25,000 members able to publish content. 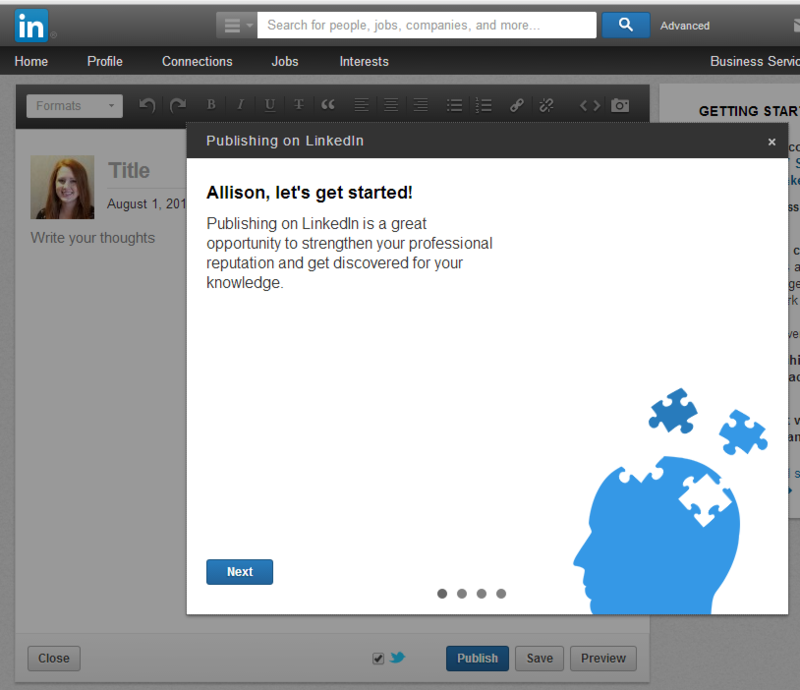 The earnings report also notes that LinkedIn’s publisher platform generates more than 30,000 weekly long-form posts. Furthermore, since the platform’s launch, traffic to publisher and influence posts has risen more than 100 percent. When a member publishes a post on LinkedIn through the Publishing Platform, their original content becomes part of their professional profile and is shared with their network. Users that have access to the publisher platform will see a pencil icon in the status bar where updates can be posted. When this pencil is clicked on, users are taken to a composer where they can start writing. Members who do not have access yet, can wait for LinkedIn to permit access or can sign up to be given permissions. In addition to its Q2 earnings report, LinkedIn also unveiled its new Sales Navigator platform yesterday, which is now a standalone product. According to the company, the new Sales Navigator has evolved into a SaaS product that enables sales professionals to establish and grow relationships with customers and prospects. The company also notes that through the Sales Navigator, insights about accounts and contacts will be sent directly to professionals. Key features of the platform include lead and account recommendations, news mentions of key contacts through an integration with Newsle, notifications for things like job changes and common connections, CRM integrations with Salesforces and Microsoft Dynamics and advanced leads search. The platform is launching on both desktop and the mobile Web and is currently only available in English. Although we haven’t seen an official announcement yet, some LinkedIn members have started to find a “follow” button appearing on the social network for professionals. When completely rolled out, the button could make LinkedIn more similar to social networks like Twitter or Tumblr, as it will enable users to follow people of their choosing, thus filling their feed with content that they want to see rather than just content from connections. While the button has appeared on the homepage, it is more commonly seen when users visit another professional’s profile and select “View recent activity” from the dropdown menu. Then, a page (like the one pictured below) will appear with a yellow “Follow” button in the upper right hand corner.